New Delhi/Paris: The dogfight for picking the Multi Role Combat Aircraft (MRCA) for the security of the Indian skies is beginning anew, this time for a much larger number than the 2007 figure of 189 asked by the Indian Air Force (IAF) -- an estimated 400 for the Indian Air Force (IAF) and 60 for the Indian Navy. While the IAF has already issued a global request for single-engine combat jets under the government's Make in India programme, the Indian Navy is looking for about 60 twin-engine shipboard fighters for delivery to begin within five years. The Navy's first Indigenous Aircraft Carrier (IAC 1) is due for delivery within the next couple of years, and the preferred choice this time is either the Boeing F/A 18 Super Hornet or French Rafale, which the IAF has already decided to buy. The two single-engine aircraft being considered by the IAF are US Lockheed Martin F 16 Fighting Falcon and Swedish Saab Gripen.Boeing, which developed the F 18 as a shipboard fighter, has also offered to make it in India while sources in Dassault, which makes Rafale, told India Strategic that they are aware of the Indian requirements and should be submitting a proposal soon. Rafale was also developed as a shipboard fighter. Meanwhile, the IAF is buying 36 Rafale MRCAs under a government-to-government deal and the first contractual payment of 15 percent was made in November. The first batch of six or so aircraft is to be delivered to the IAF in 2019 as per the contract although India has requested the timelines to be advanced. Navy Chief Admiral Sunil Lanba recently stated that the Navy had jettisoned the indigenous naval variant of Light Combat Aircraft (LCA) because of low power. He did not specify the number or choice for the naval requirement but did say that only a couple of them are available in the market and that he wants them as fast as possible, say in about five years. He expressed confidence that the government approval would come along speedily. As for the IAF, it has been losing two squadrons of Soviet-vintage MiG series aircraft every year, and although the numbers are being made up to an extent by the licence-production of 272 Russian Su 30MKIs, the depletion process of the IAF squadrons is continuing. 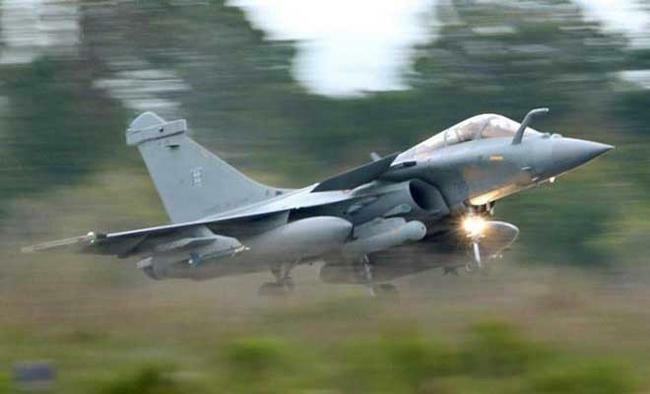 Notably, in 2007, the IAF's requirement was put at 126 plus 63 options (189), but their acquisition process was scrapped in 2015 over price differences with the French Dassault whose Rafale was selected in 2012 against Eurofighter in the finals. The government then opted for a small number of 36 aircraft, or two squadrons, in 2015 for nearly 8 billion euro inclusive of about two billion euro for India-specific modifications and missiles as part of the package. Air Marshal V.K. 'Jimmy' Bhatia (Retd), former Commander-in-Chief of the Western Air Command (WAC), and Air Marshal Ashok Goel (Retd), former Director General Inspection, say the government should work towards both numbers and timelines. The IAF needs to modernise 20 squadrons, or roughly 400 aircraft, as the need of the hour. An IAF fighter squadron has 18 aircraft for combat missions and another two for training. At least three more are kept for Maintenance Reserve and Strike off Wastage. Notably, the acquisition process in India takes five to seven years, and that has to be factored in while planning for new fighter jets. An IAF proposal to upgrade some 100 1970s-generation Jaguars with more powerful Honeywell engines and better avionics to extend their lives by 10 to 15 years is also pending for rather long with the Ministry of Defence.